Hello friends and welcome to another fabulous day with Twisted Cards - Sketch #98. The twist is "Green" - any way, any how. Hope you are able to play along with this weeks sketch. A while back I took an online class through Brave Girls Club called 'I Have an Idea...', this was a class completely out of my comfort zone but what the yeah I had a great time working on it. The only problem was being patient enough for drying time but I loved getting my hands dirty for this canvas. Melody is a wonderful teacher and although the class consisted of pdf files and videos, she did a remarkable job! Can not wait to try this again on something different! Thanks Melody! Last night I was 'finally' able to sit and actually scrap a few layouts. Using Scraps of Darkness Escape kit, I created this layout of my son at the beach a few years ago. I used Page Maps January 2012 for a little extra inspiration. He had more fun looking for critters in the plants that washed ashore than actually getting in the water. Welcome everyone! Hope you (for those who had one) had a great Spring Break! Last week was Spring Break for my kiddos and keeping them entertained is all ready a full-time job but last week proved to be a challenge (especially for my daughter). My son (6 yrs) has always been able to entertain and/or play by himself, sometimes he even prefers it. My daughter (9 yrs) on the other hand can not stand to do anything by herself. So the week was spent walking, play cards, board games, trampoline time, bike rides, more walking, movies (Journey 2 and The Lorax) and yes, more walking. We had a fabulous week but I am happy and ready for the routine of school and work. 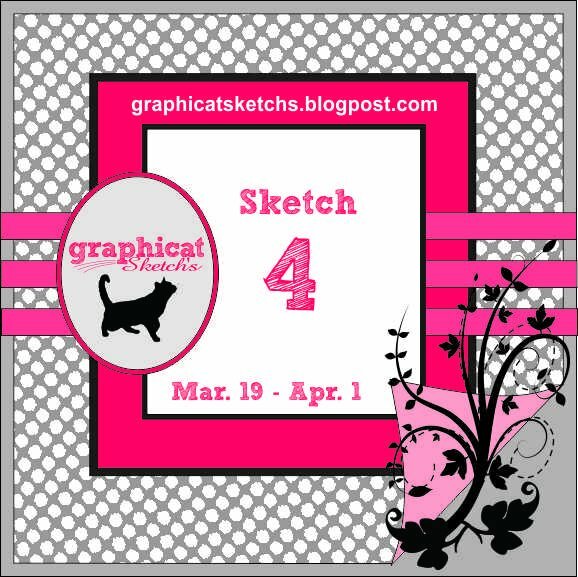 It's another fabulous challenge at Graphicat Sketches. I really hope you are able to play along, the prize this go around is the stamp 'I Like it Dirty'. Here is my take on the sketch. Both the image and sentiment are Graphicat Designs. All paper and flowers used is from Scraps of Darkness Escape Kit. Thank you stopping by. 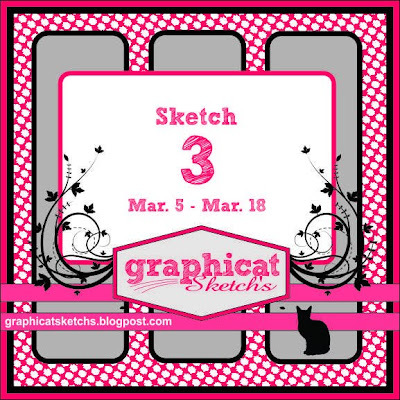 Again I hope you are able to play along with us at Graphicat Sketches. Hello and welcome to Workman Scraps. I have joined a book club, the Pixie's Bookshelf. Each month there is a book to read and a challenge based on said book. This month the book is Switched by Amanda Hocking. I had been eyeing this book for a fee weeks but kept putting off purchasing the book, until finally I caved and bought it. That very weekend, I found out Switched was the book chosen for the read - talk about excited. I hope you are able to join in on the fun. "When Wendy Everly was six years old, her mother was convinced she was a monster and tried to kill her. Eleven years later, Wendy discovers her mother might have been right. She’s not the person she’s always believed herself to be, and her whole life begins to unravel—all because of Finn Holmes. Now Wendy’s about to journey to a magical world she never knew existed, one that’s both beautiful and frightening. And where she must leave her old life behind to discover who she’s meant to become…"
We look forward to seeing all of your creativeness this month!!! 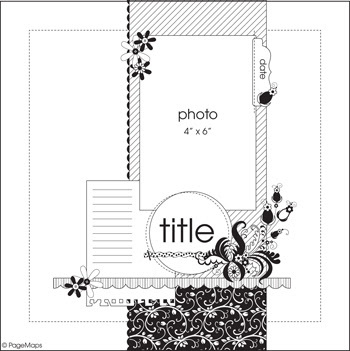 ribbon - stash, pattern paper - Kaisercraft Madame Boutique Collection. Hope you enjoyed it and are able to play along. Hello and welcome friends to Workman Scraps. A very short post today to share this card I made for my cousin who is having a baby boy soon. Hello and welcome to all my fabulous friends. Today is another fabulous day with Graphicat Sketch #3. I love the sketch Cheri did for us today and I really hope you are able to join in and create something with this beautiful sketch. Thank you for taking time to visit if you get lost hopping, head back to Graphicat Sketches, make sure you visit everyones post for much more craft inspiration. Also linking to Crafter's Companion New March Challenge - Going Green. Hello my wonderful friends and welcome! When I read Emma's challenge at My Creative Time Throwback Thursday, I got excited, you see recently I had surgery on my left hand and crafting of any kind is a little hard. But crafting with the cricut and trying to get all the pieces together is just a little more difficult than normal. *** This is a "CRICUTLESS" Challenge! Meaning, you are not allowed to use your cricuts, imagines, e2's or your cameo's or any "Electronic machine"! Basically, we are taking it back "Old School"! You are totally allowed to use punches &/or your cuttlebug! *** Create a PROJECT of YOUR choice! *** Deadline for this challenge will be on Wed, March 14th @ midnight! So a "Cricut-less" Challenge is perfect for me and using My Creative Time's Happy Spring, Hello Spring, Spring Chicken Backgrounds, and Banner Kit this beautiful card came to be. Using the chicken wire background stamp and Tim Holtz vintage photo embossing powder, I created the background for the little chicks image that is colored with copics. I hope you enjoy and plan to play along at My Creative Time's Throwback Thursday Challenge.